The Heart Centre was provided with 1,363 heart stents that should have been administered free of charge, says the Health Ministry. The ministry recalled that last year the state bought 950 stents for the Heart Centre, which comprises its full quota, and redistributed an additional 413 stents from other medical institutions. "All 1,363 stents procured at the state budget expense should have been installed free of charge," the ministry stressed. Meanwhile, local budgets in some cities across the country, eg Severodonetsk, were charged four or five times more than the estimate for stenting and percutaneous coronaryintervention, the money going to the private clinic Alfa Medic registered by the same address as the Health Ministry's Heart Centre in Kyiv. 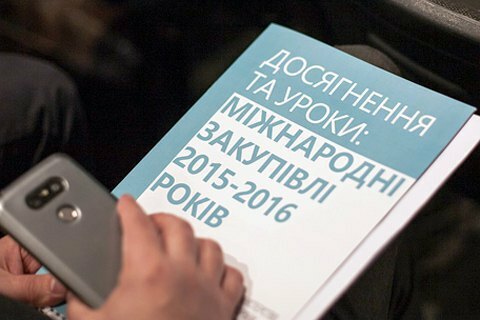 "The real price of these surgery services calculated by the official formula used during the procurements in 2015 ranged from 10,000 to 17,000 hryvnyas depending on the stent type," the ministry said. The ministry said the above findings would be reported to law-enforcement authorities for further investigation into corruption. Last month, the ministry said that from now on public procurement in cardiovascular medicine would be carried out through an international organization.